Unlike with a hauling or junk removal company, Silver Rain crews are experienced and educated to know what to keep, what to donate and what to throw away. Our decision matrix is based upon cost effectiveness and the premise that most clients want to maximize the value of property in order to defray or cover the cost of the cleanout. Better yet: When you use Silver Rain for your cleanout, your property is still your property. We sell everything of value ~ and the profits go to you. And because we partner with various nonprofits to help their clients and ours, what can’t be sold is donated appropriately. In addition, we recycle and shred, all in order to reduce your costs. 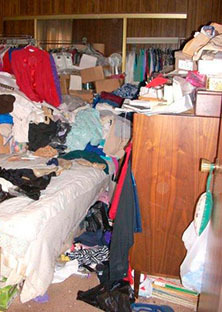 For more information about property cleanouts, including homes, offices, storage units, ranches and outbuildings, click on our blog. Or call for a free consultation: 415.601.2613.